Parques Reunidos expands its international presence with the management of a new park in Dubai – Motiongate. Motiongate, the only park in the world bringing together three of Hollywood’s most top movie studios – DreamWorks Animation, Columbia Pictures and Lionsgate – is part of Dubai Parks & Resorts, the Middle East’s largest multi-themed leisure and entertainment destination in which around 3.422 million Euro has been invested. 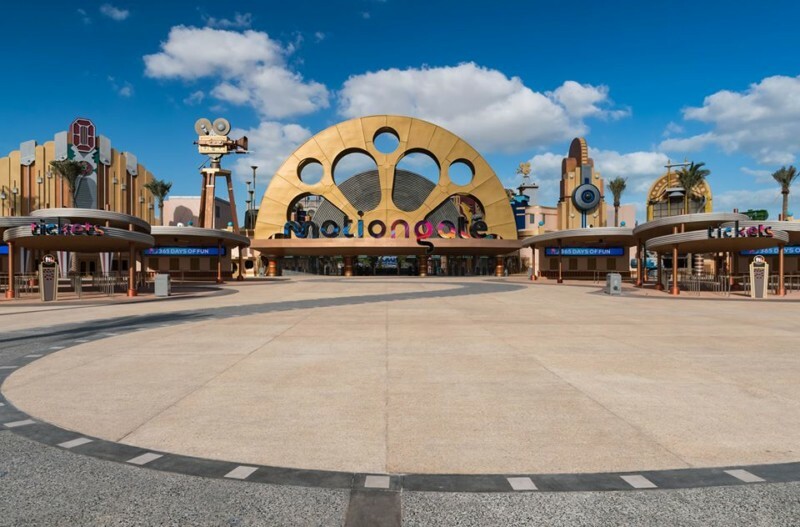 Motiongate’s attractions are inspired by 13 of Hollywood´s most memorable live action and animated films such as The Hunger Games, The Smurfs, Kung Fu Panda, Shrek and Ghostbusters. The park is divided up into five thematic areas and offers 27 attractions, 21 of which are indoor, along with 4D motion simulators, more than 15 live shows, 15 shops and 9 themed restaurants. The opening of Motiongate and Dubai Parks & Resorts was held last weekend and boasted the attendance, among others, of the Prime Minister of the United Arab Emirates, the CEO of DXB Entertainments PJSC, owner of Dubai Parks & Resorts and, on the part of Parques Reunidos, its CEO Fernando Eiroa. Fernando Eiroa declared that: “One of the main strategies of Parques Reunidos’ business plan is to continue expanding internationally and consolidate itself as one of the most diversified operators in the world. With the opening of Motiongate within the Dubai Parks & Resorts complex we are taking another step into a market which is key for us, the Middle East”. The opening of Motiongate joins the recent inauguration of Bollywood Parks, also managed by Parques Reunidos. This is the first-of-its-kind theme park that showcases rides and attractions based on some of Bollywood’s biggest blockbusters. By means of this operation, Parques Reunidos expands its territorial presence in the Middle East and is now present in 62 parks in 14 countries, with around 20 million visitors per year.